I love a good body scrub. I have quite the collection in my bathroom. 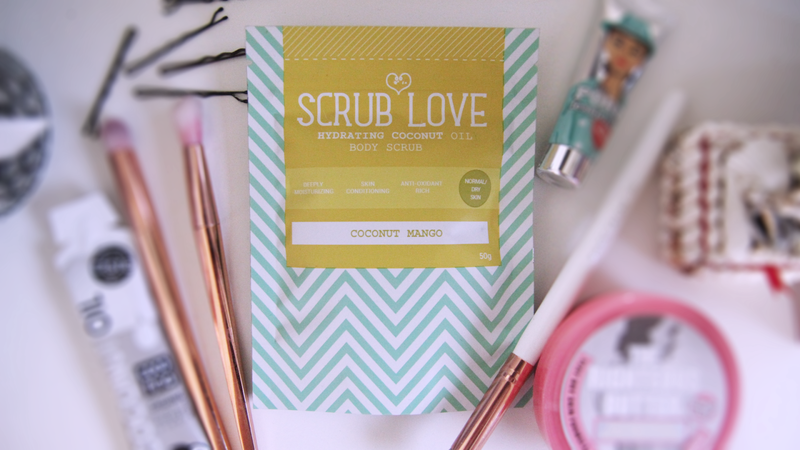 When I got this Scrub Love Hydrating Coconut Oil Body Scrub in the scent Coconut Mango, I couldn't wait to try it out. First thing that is different to other scrubs I own is the eco-friendly packaging which is resealable. This product is also 100% natural, paraben & SLS free, animal testing free and vegan. Quite a claim to have right?! It's made from whole coconuts and mangoes; using the coconut shell and sugar as the exfoliant and mango butter, coconut oil and macadamia nut oil as the moisturiser. It's designed for normal to dry skin. This product smells amazing. It certainly smells very tropical with the coconut and mango scent. I just wasn't sure about how it looked. It, admittedly, doesn't look like the most appealing scrub I've used. It's very... brown. I can't help but think it looks like some kind of weird tobacco. But the gorgeous smell helped me overcome the odd look. Another thing that is different to other scrubs I've used - it's extremely dry. 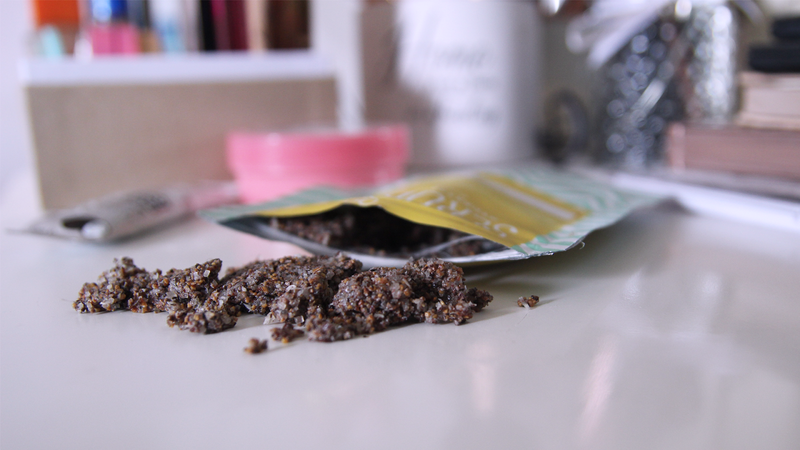 Most scrubs that I have tried are the texture of a cream or body wash, with the scrub inside it. So, this was quite interesting to me. I don't think it should have made too much difference since, you use it in the shower or bath on wet skin anyway. Now that I've used this I can honestly say, I am extremely impressed. My skin feels amazingly soft and nourished, and I really like the smell of this product. I did find it was slightly harsher on my skin that my usual Soap & Glory scrub, however, as a once in a blue moon use it would work wonders. This product retails at £12.5 for a 200g bag, which is supposed to do 4 uses. I think you can definitely make this stretch a little further. This isn't something I would repurchase myself, purely because it was slightly too rough on my skin. I wouldn't use it regularly enough to justify buying it. 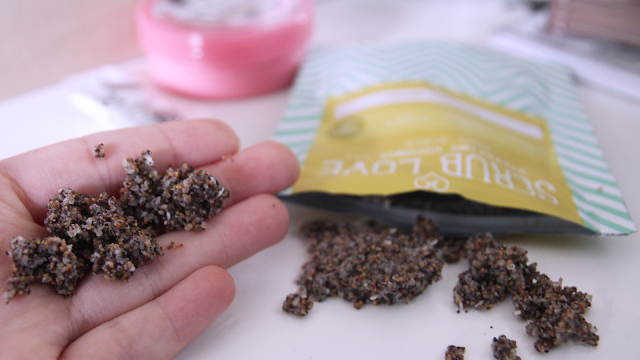 If you have dry skin, this may be for you!